The world… including the U.S. … has turned its back on Israel. The consequences and threat of nuclear war have never been greater, with the U.S. and the UN agreeing to the flawed Iran deal. 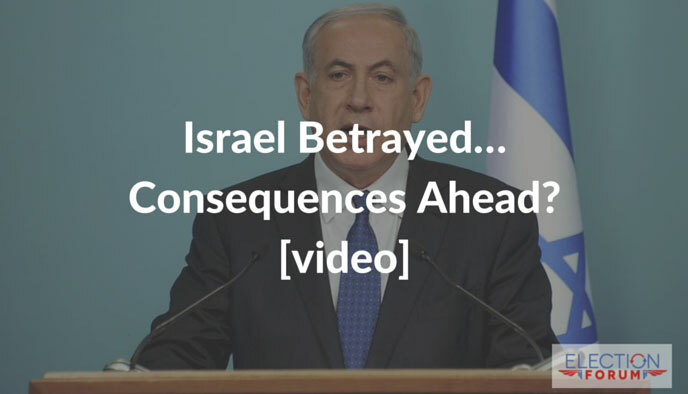 Prime Minister Netanyahu made a powerful, passionate speech before the United Nations last week. It was stunning. It was powerful. It was shocking. He detailed what Iran is doing. He detailed the failure of the United Nations. He detailed the failure and betrayal by the United States. It’s a must-see video. He surprised the UN – and the world – with 45 seconds of silence because of the silence of the UN against the attacks on Israel and the Jewish people.